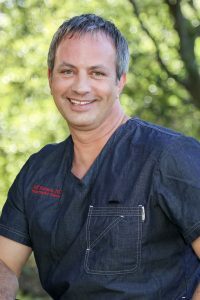 I started my clinical experience with Ozone Prolotherapy called Prolozone in 2007 during my residency at The Center for Natural and Integrative Medicine in Orlando, Florida. After discovering the healing benefits of Ozone therapy, I went to work with the “Rock Star” in the field of Ozone Prolotherapy. In 2010, I joined the practice of Dr. Frank Shallenberger, MD at The Nevada Center to get first hand training in the technique called Prolozone. Prolozone is essentially ozone prolotherapy, using ozone gas along with dextrose (among other healing agents) to stimulate the healing process with the goal of restoring the function of joints, tendons, and ligaments. In addition to Prolozone, PRP can be used to supercharge the Prolozone Therapy. Platelet Rich Plasma (PRP) is another powerful healing agent to complement Prolozone therapy and can also be used by itself. We typically think of Platelets as the cell in the body that stops bleeding after getting a cut in the skin. This is true but they also signal the body to heal by attracting and activating stem cells along with making growth factors and other healing agents. By concentrating these platelets and then injecting them into joints or around injured tendons and ligaments, we are providing a healing stimulus to the body in order to restore function. Prolozone is generally less painful, with fewer injections, and more effective then the standard dextrose prolotherapy technique. It is common for patients to use the terms “Amazing” and “Miracle” to describe how effective Prolozone Therapy can be when applied by a well-trained and experienced practitioner. There is nothing more satisfying as a doctor than helping someone out of pain but it takes a well-trained and experienced person to place the healing agents in the right areas. My practice has grown with my extensive clinical experience and the results I get with Prolozone and PRP therapy. I have expanded my service locations which includes Embody Wellness in Folsom, CA and my practice in South Lake Tahoe, California at Tahoe Natural Medical Center. I provide other services at these locations including the HCG weight loss program, Bio-Identical Hormone Replacement, and Intravenous Nutritional Therapy (Tahoe office only). The most common ailments treated with Ozone Prolotherapy (Prolozone) and PRP therapy is usually arthritis pain due to degeneration, tendonitis conditions, and ligament injuries common to sports injuries or motor vehicle accidents. Ozone Prolotherapy (Prolozone) and PRP therapy can be used to treat a variety of acute and chronic pain including the following: Osteoarthritis of knees, hips, shoulders, spine, and thumbs; Tennis and Golfers tendonitis (elbow pain); Plantar Fascitis; Morton’s Neuromas; Carpal Tunnel Syndrome; Trigger Finger; MCL and ACL partial tears and sprains; Bursitis; Sciatica; Lower back pain due to mild to moderate hermiated disc; Sacroiliac pain; Shoulder pain from rotator cuff injuries; Ankle pain; TMJ pain. Conditions that do not respond to injection therapies are the following: Fibromyalgia, chronic myofascial pain syndrome, pain from cancer, pain from autoimmune conditions like Rheumatoid arthritis, severely herniated discs, central spinal stenosis, complete rotator cuff tears.